About a month ago, they had a crazy highlighter promotion on their website, www.gerardcosmetics.com called Power Couple, where you could purchase 2 of the highlighters (Marilyn & Lucy) for US$ 35.00 plus free worldwide shipping. Yes, you read it right… free worldwide shipping*!!! Delivery: It took about a month for these to arrive, but considering the great amount I saved financially, I can’t really complain. Packaging: I’m not quite happy about the outside packaging. (Again, no complain because of the promotion) But if you order it for the regular price, you’d expect these to come in a nice gold box similar to the container itself. My highlighters were just wrapped in purple tissue, so it isn’t the best packaging for international shipping. I hope they would improve it in the future. The actual container is: A beautiful gold box (which gets scratched, though) and it is also quite lightweight. 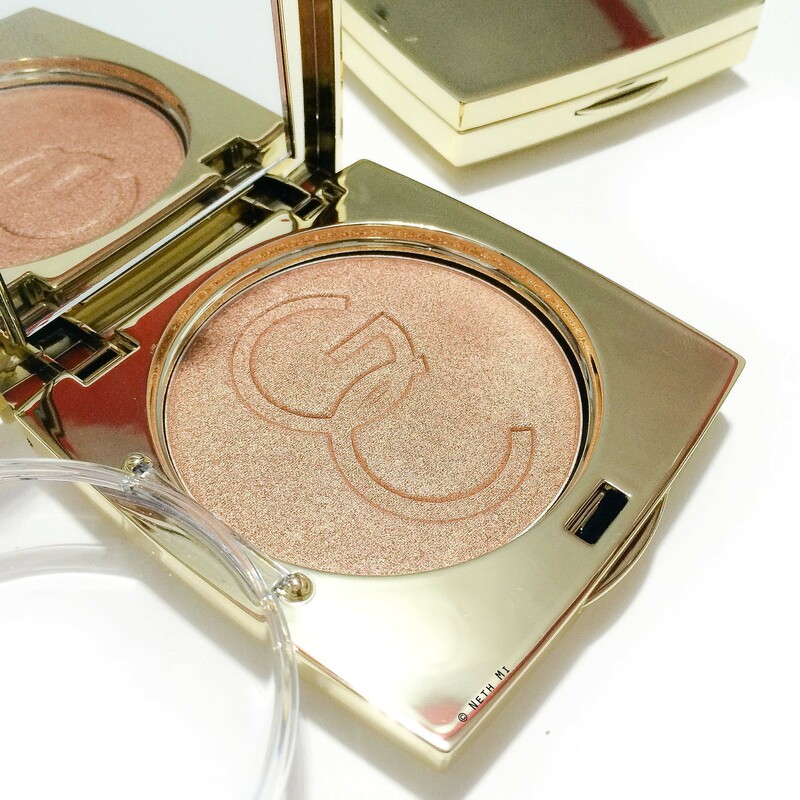 What I love about them is that they have a second transparent lid-kind-of-protector (attached to the pan so you won’t lose it) so that the highlight powders won’t dust everywhere. Marilyn: Is pale gold with high pigmentation (pictured above) It appears a little too sparkly finish if you apply too much, but I like applying this with my Real Technique Fan Brush, because this brush picks up the right amount of product and applies in a way that gives more of satin finish. 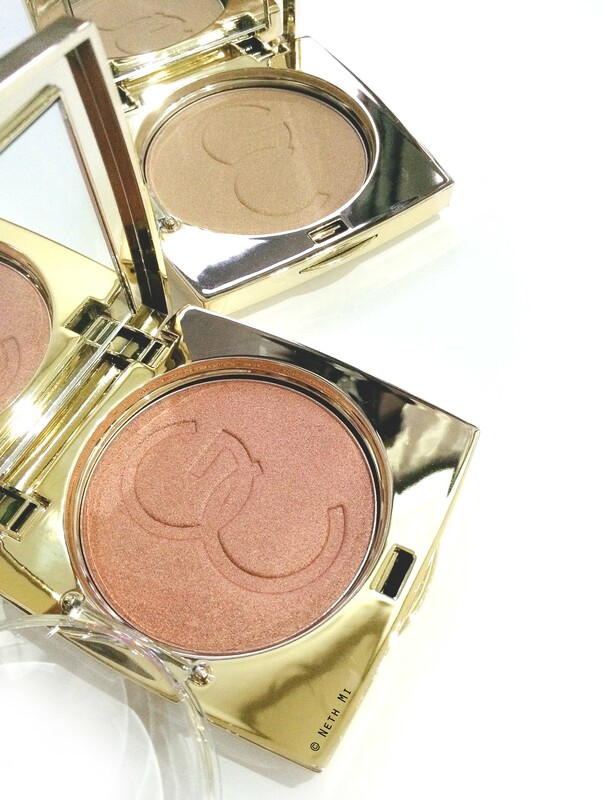 This is perfect for “Strobing” as well as regular highlighting. Lucy: In the above picture is a beautiful rose gold that has similar pigmentation to Marilyn, but with a less sparkly finish. This can be used on top of a matte blush to make it a little shimmery, and the shade works well on medium to dark skin tones. 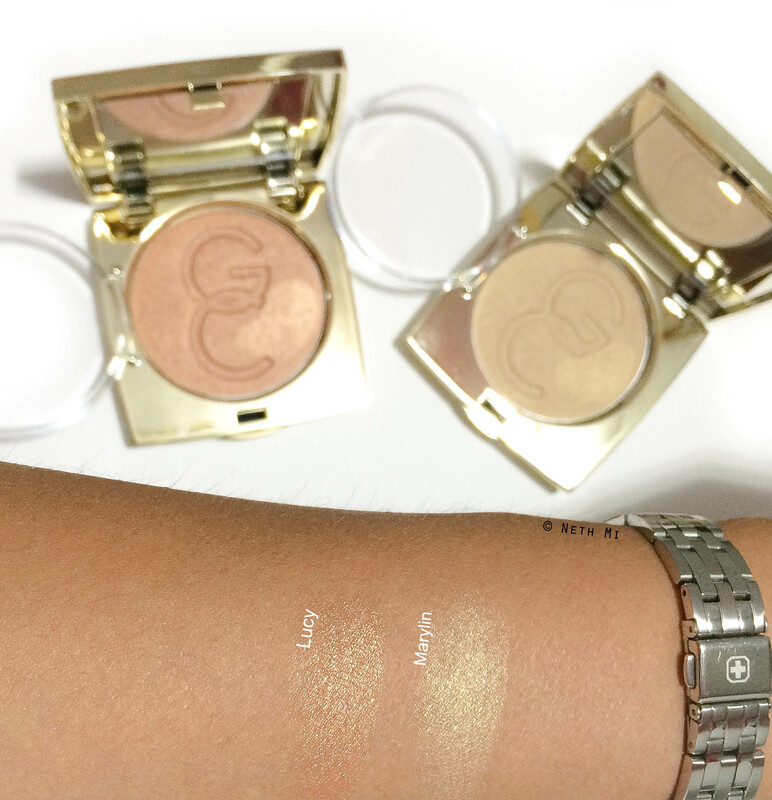 Pale beauties can wear this alone as a shimmery blush more than a highlighter because it’s quite pigmented. Which shade would you buy? Ooooh so gorgeous! So glowy, I am definitely getting these!